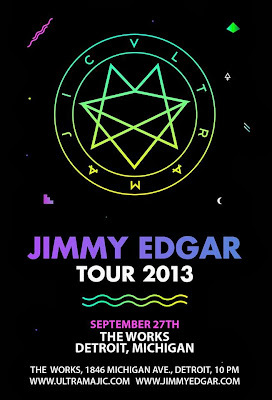 Hip In Detroit: Jimmy Edgar Returns to Detroit to Perform this Friday Night! 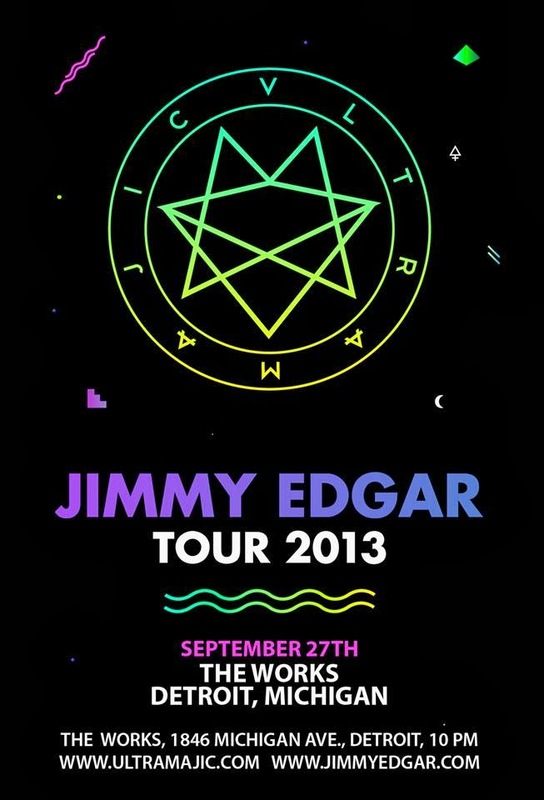 Jimmy Edgar Returns to Detroit to Perform this Friday Night! This Friday night a friend and local legend is coming back to town. Jimmy Edgar has made his rounds to pretty much every country on the globe and is finally heading back to Detroit to play a show. He will be performing at The Works in Detroit along with a whole slew of artists, including Dr. Disko Dust, Golf Clap and Dru Ruiz, just to name a few. I won't go into the details on how I first met Jimmy, but I will tell you he is a musician that has always been before his time. He is one of the first people that I knew of from the Detroit area that was creating Electronic Music. Since his start over a decade ago, his sound has changed and evolved and he has put out numerous albums, with his latest EP, Hot Inside, released earlier this year. You can check out the music video for "Hot Inside" below. Jimmy is set to perform at 2 a.m. Friday night with other acts starting things off around 10 p.m. Tickets are only $10 if you purchase them ahead of time here and 18 and over are welcome. The Works is located at 1846 Michigan Ave. in Detroit.